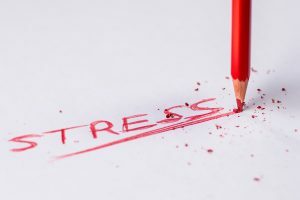 When you hear the word stress, your mind may go directly to the usual suspects: a growing workload at your job, bills coming due, and issues at home that threaten familial harmony. April is Stress Awareness Month, a time to be aware of the little things that may irritate you enough to the point they become all-consuming. At Tidewater Drive Storage Center, our biggest concern related to stress is clutter. In a way, then, using self-storage can benefit your health. You can rent a unit to secure extra clothing, furniture, and personal belongings that aren’t ready for donation but can’t stay at home. Removing the clutter from a place you occupy daily to a spot with climate-control and security not only relieves the clutter from your mind, but gives you peace of mind that your possessions are well protected. Tidewater Drive Storage Center provides affordable self-storage solutions for Norfolk. When every month seems like Stress Awareness Month, we’re here to answer questions and help you determine if you’re eligible for any of our specials – $1 for the first month’s rent or military discounts. This Spring, take the time to de-stress when it feels like the weight of the world tries to sink you. Set aside time for a hobby, go for a walk, and relax knowing you have a place for surplus stuff. Contact us today if you have questions.